PARIS - At least 10 people died and 30 were injured in an overnight blaze at an apartment block in Paris that police are treating as possible arson, officials said Tuesday. Videos from the scene showed flames leaping out of top floor windows and firemen climbing flimsy ladders to rescue terrified residents, some dressed only in pajamas, from the top of the eight-story block. Described by one rescue worker as a "scene of incredible violence", the blaze left around 30 people -- including six firefighters -- injured and at least 10 people have died, the fire service said. The fire started at about 1:00 am (0000 GMT) and was only brought under control more than five hours later by around 200 firefighters. Only once they had fitted extenders to their equipment, which needed to be carried manually into the courtyard of the building, were they able to begin rescue operations. 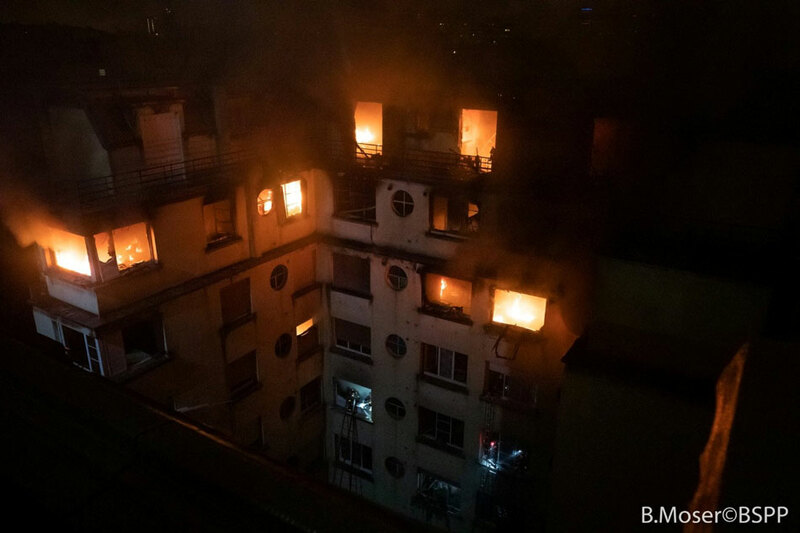 Several local residents said that the fire had been started because of a dispute between neighbors in the block, which was built in the 1970s unlike many of the older, classic Parisian buildings. The wealthy neighborhood is home to several private schools and lies on the edge of the vast Bois de Boulogne park. The fire is the most deadly since 2005 when an arson at a building in the 13th district of the city killed 17 people, including 14 children. The blaze follows a powerful gas explosion last month that killed four people in the city's central 9th district. The Department of Foreign Affairs, in a statement, said the Philippine Embassy in Paris extends its sympathies to the families of the victims. The DFA said it is coordinating with French authorities to determine if there were Filipinos among the fatalities and the injured.